Forty-seven years ago, the Asian elephant now known as Happy was one of seven calves captured—probably in Thailand, but details are hazy—and sent to the United States. She spent five years at a safari park in Florida, time that in the wild would have been spent by her mother’s side. Then she was moved to the Bronx Zoo in New York City. There Happy remains today, and since the death of an elephant companion in 2006, she has lived alone, her days alternating between a 1.15-acre yard and an indoor stall. For a member of a species renowned for both intelligence and sociality, the setting is far from natural. In the wild, Happy would share a many-square-mile home range with a lifelong extended family, their bonds so close-knit that witnessing death produces symptoms akin to post-traumatic stress disorder in humans. It would seem that Happy, despite the devotions of the people who care for her, is not living her best life. In considering Happy’s circumstances and what might be done to improve them, should something more than animal-welfare laws and zoo regulations—which the Bronx Zoo has not violated, but arguably are inadequate—be invoked? Should Happy be considered, in legal terms, a person? Which is to say, an entity capable of possessing at least some rights historically reserved for humans alone—beginning with a right to be free? Extinctions are seldom cause for celebration. Humans are wiping out species at a frightening rate, whether hunting them into history or, far more threateningly, damaging the habitats on which they depend. But occasionally, the destruction is warranted. Smallpox was officially eradicated in 1980, and no one laments the fate of the virus that caused it; campaigns to save the virus that causes polio are thin on the ground. How, then, to think about a new technology that will make driving a species to extinction far easier? Have you ever stood in a field full of cows? It’s obvious that they’re aware of one another, but in a minimal kind of way. They tend to stay loosely clumped together as they graze, and they don’t deliberately knock into other members of the herd. Shouting gets their attention, but it tends to elicit a flickering inspection at most, which subsides into cud-munching indifference when they realise you represent neither a threat nor a treat. Cows don’t gauge how to respond to sights, sounds and smells by carefully studying the subtleties of one another’s reactions (which is why they can startle each other into stampeding). When you’re with a herd of cows, you’re basically alone. Stand or walk among a herd of elephants, however, and you’ll appreciate how different the experience is. Even the most peaceful group feels electric with communicative action. There’s continuous eye contact, touching, trunk and ear movements to which others attend and respond. Elephants engage in low-frequency vocalisation, most of which you can’t hear, but you can certainly see its effects. If you’re fidgety, for example, all the adult elephants will notice and become uneasy. Typically they take their cues from their female leader, the matriarch. When you’re with a herd of elephants, you’re not alone at all; you’re in a highly charged atmosphere, shimmering with presence and feeling. 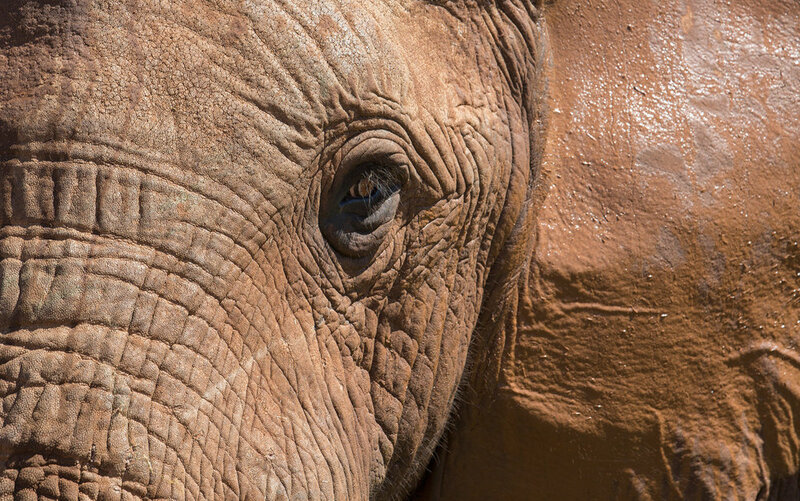 To an outside observer, elephants appear to have highly responsive minds, with their own autonomous perspectives that yield only to careful, respectful interaction. The New York Court of Appeals recently denied a motion for permission to appeal submitted by the Nonhuman Rights Project in their effort to see two chimpanzees, Kiko and Tommy, who are currently living alone, transferred to an adequate chimpanzee sanctuary. I was a co-author, in addition to sixteen other philosophers, of a philosophers’ brief that supported the Nonhuman Rights Project’s motion. Though it was denied, Judge Eugene Fahey, one of five judges who ruled on the motion, submitted a striking concurring opinion to explain his decision. Here are some of the details. Judge Fahey’s decision to deny the Nonhuman Rights Project’s motion was not based on the merits of their case. Indeed, he indicates his discomfort with the initial ruling of the Appellate Division of the New York Supreme Court. Judge Fahey implies that, had he been a judge charged with making the initial ruling, the legal journey may well have been quite different (with, presumably, a more favorable result for Kiko and Tommy). On May 8, 2018, the New York Court of Appeals Decision once again denied the Nonhuman Rights Project’s (NhRP) petition to appeal a lower court’s ruling on the fate of chimpanzees Tommy and Kiko. Though nominally a defeat, the remarkable concurring opinion by the court’s Associate Judge Eugene M. Fahey constitutes a major step forward, a victory in and of itself. The NhRP characterizes it in its press release as “an historic mark of progress in the fight to secure fundamental legal rights for nonhuman animals.” The opinion begins: "The inadequacy of the law as a vehicle to address some of our most difficult ethical dilemmas is on display in this matter." The NhRP has been trying to convince New York State courts that the two chimpanzees have a right to habeas corpus protection, and has been seeking permission to have the two relocated from the small, squalid cages in which they’re being held to the Save the Chimps sanctuary in Florida. The court’s problem has been that habeas corpus protection is available only to persons. Given that there are only two possible classifications for the chimps from a legal point of view—as either persons or things—the NhRP has been so-far unsuccessfully trying to persuade the court to bestow legal personhood on Tommy and Kiko. After all, as Fahey writes in his opinion, "While it may be arguable that a chimpanzee is not a ‘person,’ there is no doubt that it is not merely a thing." The judge says further, "The reliance on a paradigm that determines entitlement to a court decision based on whether the party is considered a ‘person’ or relegated to the category of a ‘thing’ amounts to a refusal to confront a manifest injustice." “They used to bark at me when I walked into the courtroom,” lawyer Steven Wise said in the Sundance documentary Unlocking the Cage, which debuted on HBO last month. His use of the word “bark” is literal. Wise, founder and president of the Nonhuman Rights Project, has spent his entire legal career preparing to represent the first chimpanzee plaintiffs in the U.S. court system. While he’s no stranger to having his life’s work—of attempting to get certain animals recognized as persons—poked fun at, he’s found that the courts have taken him seriously.